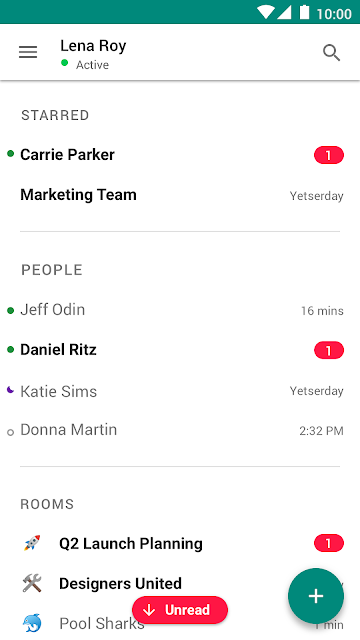 We’re improving the side panel on Hangouts Chat, making it easier to keep track of your chats and stay organized. In addition to Starred, you’ll now see the following sections in the left-hand side panel: People, Rooms, and Bots, with corresponding chats grouped accordingly. 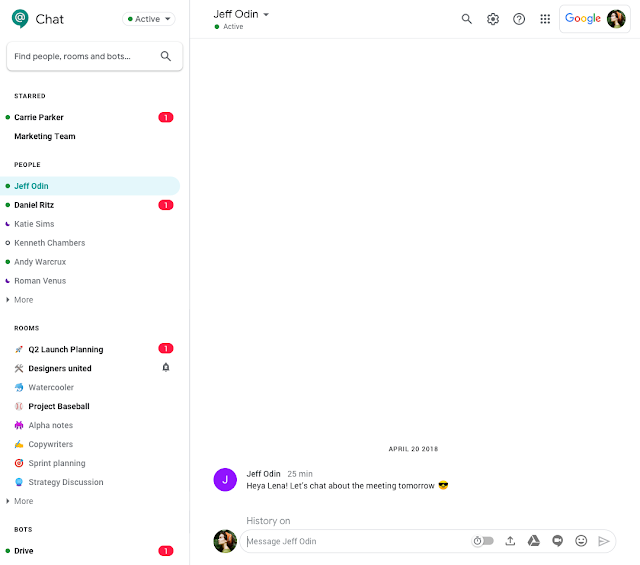 These sections will better organize your chats, making it easy to find specific chats and see where there are items that need attention. This feature will be available across web, desktop, iOS, and Android. Scheduled Release domains: Full rollout (1-3 days for feature visibility) starting on April 4, 2019.